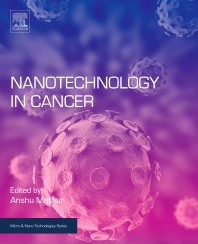 Dr. Mathur's doctoral training in Biomedical Engineering from Duke University with Master's training in the area of Polymer Chemistry at NC State University provided her an opportunity to develop unique expertise and apply them in the area of reconstructive therapy for cancer patients. Dr. Mathur's research encompasses a new and upcoming area of Engineered Biologics and their applications in Regenerative Medicine and Nanomedicine. Her current work at MD Anderson Cancer Center is highly applied and translational for repair and reconstruction of cancer patients. The laboratory that she heads is called Tissue Regeneration and Molecular Cell Engineering Labs (TRAMCEL). The work in the laboratory is focused in many areas of regenerative medicine such as musculofascia, bone, trachea, and microvascular guidance.